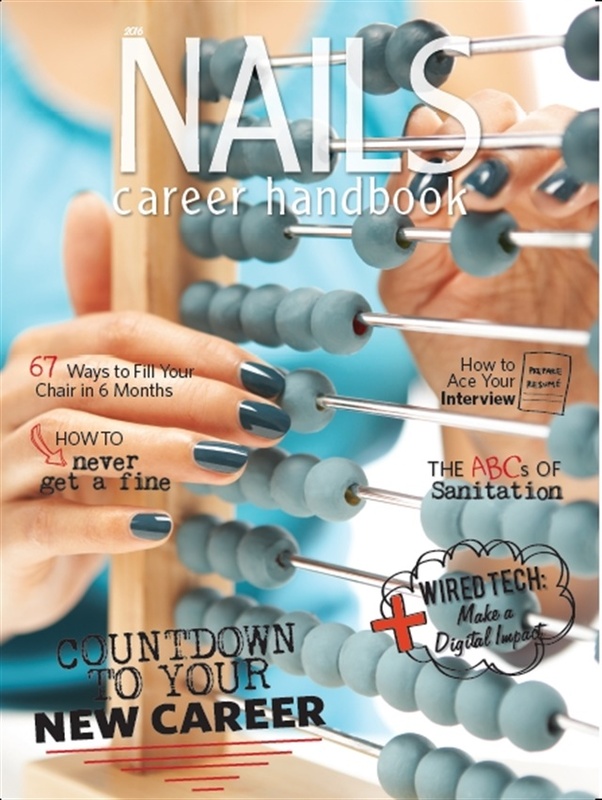 Single copies of NAILS Career Handbook are now available in our store for only $8. Quantities are limited, so orders will filled on a first-come, first-served basis. Order your Career Handbook here. We’re committed not only to today’s nail care professionals, but also to tomorrow’s. That’s why we produce our annual Career Handbook, a guide for students and newbies. The 2016 NAILS Career Handbook issue is a great resource for educators and manufacturer’s educators to give to their students. It’s also perfect for people who either want to get back to basics or jumpstart their career. Schools can get up to 50 copies free of charge by signing up for the NAILS Partners in Education program. With the NAILS Partners in Education program, we provide free subscriptions to schools and instructors to use as an in-class teaching tool, customized 6-month free subscription certificates for your nail care students, free copies of the NAILS Career Handbook, and free copies of VietSALON. Sign up here.